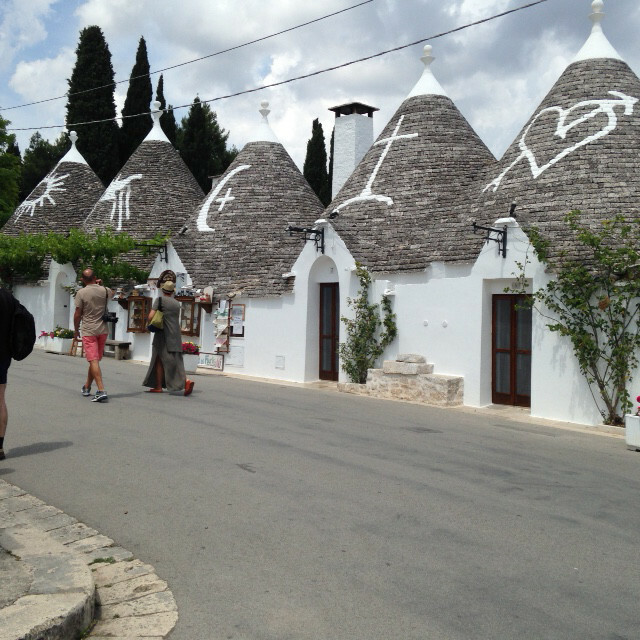 is world heritage site is noted for it unusual, white washed conical shaped houses called trulli. Until 1797 these houses were built with no mortar so they could be dismantled easily when tax authorities were said to come for inspection. Today these houses are shops, restaurants and hotels. It's your typical tourist trap if there isn't anything else to do on your your vacation!